Native American Warriors-Centuries of Protection. 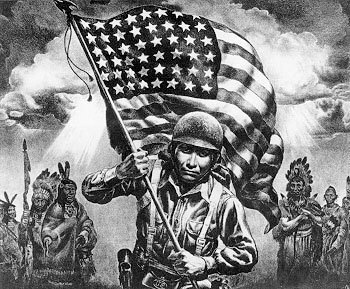 From pre-european occupation to the code talkers of WWII. Native Peoples have defended.. Wallpaper and background images in the 美利坚合众国 club tagged: native american america warriors. Why is a ww2 American running through 1776 America?